Card is blank inside and comes with a recycled kraft envelope, sealed in a cello bag for protection. Please make payment within 24 hours of your purchase, thankyou. L & T Design Co is located in Queensland, Australia, and is a fully Australian owned and operated business, however, if you are an Australian resident paying via Credit Card, please be aware of the fact that some Australian Banks do charge a Foreign Transaction Fee due to the fact that Etsy's payment processing occurs via an international bank. L & T Design Co is not responsible for these third party fees. These fees can be avoided by paying via alternative methods such as PayPal, or by ensuring you have a Credit Card that does not charge a Foreign Transaction Fee. L & T Design Co. is an Australian based store. DOMESTIC Delivery is via Australia Post Standard Mail. Domestic orders over $10 will be sent with a priority label added to speed delivery up. In order to keep postage costs to a minimum, items are sent without tracking. If you would like to add tracking, or speed up your order with Express Post, please contact us prior to purchasing so we can add this additional cost to your order. 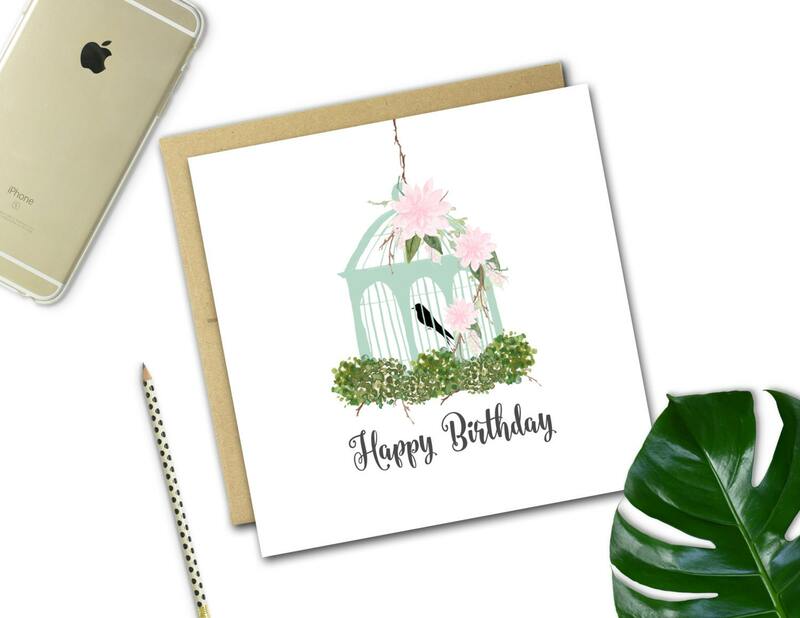 All International greeting card orders are sent as large letters without tracking to keep costs to a minimum for our customers ~ These items can take between 1-3 weeks to arrive by Standard Airmail from Australia, and 3-5 weeks during peak mail times. Please take this into account when ordering for particular occasions. INTERNATIONAL TRACKING CAN BE ADDED TO GREETING CARD ORDERS BY REQUEST PRIOR TO PURCHASE. IF YOU CHOOSE NOT TO ADD INTERNATIONAL TRACKING TO YOUR ORDER, L & T DESIGN CO. CANNOT BE HELD FINANCIALLY RESPONSIBLE FOR ANY LOSSES BY INTERNATIONAL POSTAL AGENCIES. Cards are packaged in a CD/photo mailer, ensuring safe arrival. Wall prints and Milestone Cards are packaged in a rigid mailer to protect them during transit. Unfortunately, we do not offer refunds or exchanges, however, if there are any problems with your order, please message me and we will work together to find a reasonable solution. Most of the items in my store are physical items. I do not offer digital downloads of my greeting card or wall print designs due to licensing agreements. My invitations and announcements are sold completely personalised as a flattened, uneditable digital file download. My Greeting Cards and Prints are sold as you see them. I am unable to make changes to sentiments in most cases as my cards are professionally printed. If a design can be personalised, the listing will specifically state this. I do not draw my own graphics, the images I use are purchased through digital designers with a licence to use for small commercial use, therefore, my card designs will change regularly, and each design will only be offered in small runs. If ordering greeting cards or wall prints, please do not request changes to the design AFTER payment has been made, I will be forced to cancel your order and refund your money. If you do want something a little different to how you see it in my shop, please ask first, and I will be happy to let you know whether I can assist you in setting up a custom order at an additional charge. Please be kind and don't copy my designs in any way, shape or form, thankyou. Gorgeous, quality cards with super fast shipping! Thank you!